Come and bounce with Elsa, Anna, Kristoff, and Olaf. 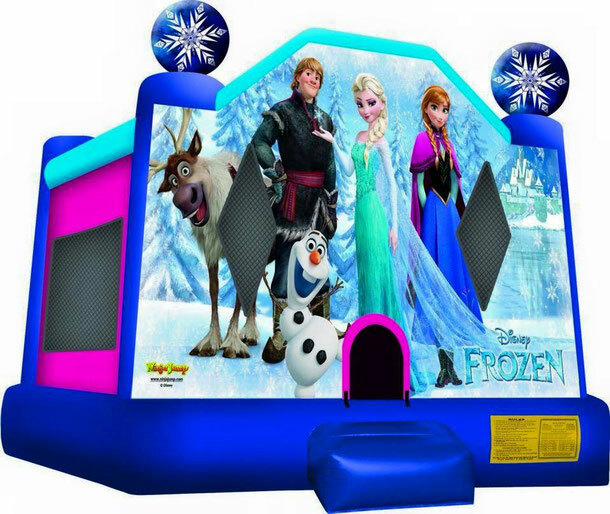 This Frozen bounce house is sure to melt your heart as you bounce the day away. Spectators are able to observe from all four sides of this castle through the mesh netting.